The ending was kind of a dud for me. I kind of read about the ending beforehand, and actually had an elaborate ending in my mind that I liked so much more, so I hope that if I’m sharing my ideal ending, maybe you can replace that ending with the real ending in your mind. There was so much going on in history, that I really wished that they focused more on her being Wu Ze Tian, and making a historical drama, instead of creating filler episodes in the beginning of drama between concubines. Wu Ze Tian’s life after becoming Empress is dramatic enough – I really wish that they would focus on her alleged affairs, her murders, and certain rumours about her. So the drama picks up from HeLan Ming Yue’s death. The Emperor yelled at Mei Niang for killing Ming Yue, and has the freaking audacity to say that “How could you? She was just a child!”. Oh my gosh Li Zhi, I’m glad you know, because you slept with her! You slept with a child! I can’t get over it. Mei Niang doesn’t explain herself, which really irks me. At this point in their relationship, it’s so muddled, it’s their only way to salvage their relationship. She doesn’t explain herself though, and he leaves angrily. I feel like he should trust her judgement as well because she’s never betrayed him all along. He always finds that every action she does has a good reason behind it, and she always prioritizes him first. The Emperor even killed Li Yi Fu, for an unrelated reason, but because he suspected that Li Yi Fu was partially responsible for Ming Yue’s death. 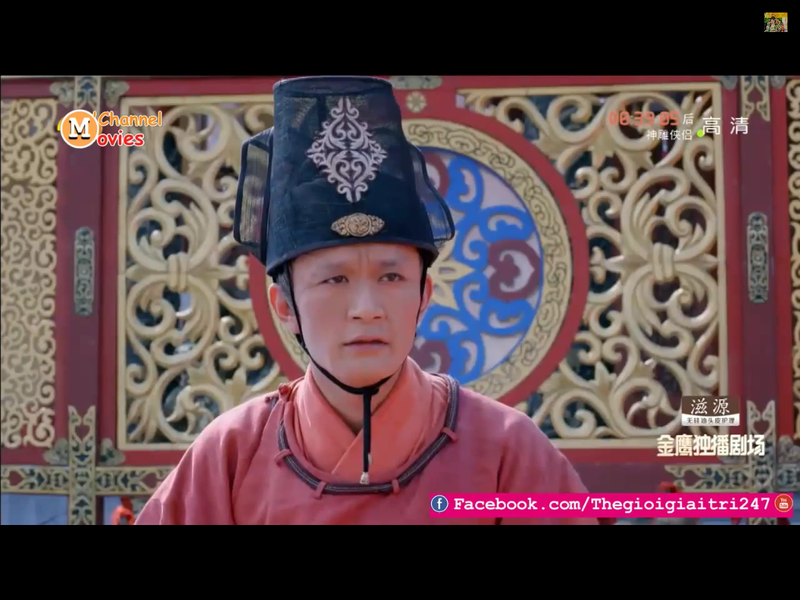 I really liked Li Yi Fu’s loyalty to Mei Niang throughout the drama so I was really sad that he died. It’s not until a confession by a chancellor arises about how Mei Niang kept information away from Li Zhi. Mei Niang did not tell him that Ming Yue tried to kill her. The Emperor confronts her about all that information he just learned, and I’m not sure what it is – but her attitude towards him has changed. It’s because he stopped talking to her after Ming Yue’s death, and she was saddened by how weak his trust in her was. I would be too, after all she’s done for him, this is how he treats her after a death from another woman. He doesn’t trust her actions at all, after all these years. 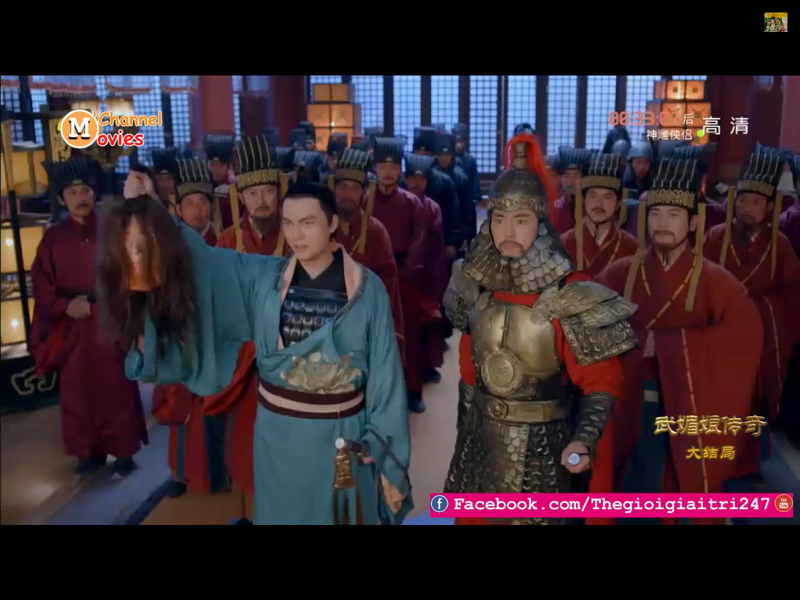 As a result she says a lot of hurtful things to him – that she would have killed Ming Yue regardless, that maybe it was her that killed Li Hong, and that there hasn’t been one day that she hasn’t thought about Li Shi Min (the previous Emperor). Ouch. That’s Li Zhi’s weak spot. He’s always been overshadowed by his dad, and he always doubted Mei Niang’s love to him. It was really cruel for her to say that – and it kind of permanently damages a relationship. When you start wondering if they ended up resolving it… It flashes to many years later. Like I want to murder someone at this point. After such a huge argument, there’s no resolution, no indication of how they’ve been all these years, and it just flashes to so many years later. Why is the argument even necessary? Just to make Mei Niang more of a victim? I don’t understand why she had to say such poisonous words – I would’ve much preferred them just resolving it like adults and moving on. Plus the make-up is god awful on Li Zhi. $49 million budget man, did they only spend it on the costumes? Li Xian is introduced at this point and it really sets the tone of how spineless he is. He, being pushed by his wife and father-in-law, begs for the Empress to be buried with the Emperor when he dies so the Emperor won’t be lonely. The Empress is in great power of the courts still, and Li Xian feels threatened. What an unfilial son! What is happened down the gene pool? Planning against your own mother – no wonder she doesn’t trust you with country affairs. Mei Niang finds out because she’s got eyes everywhere. Later on, she gets notified the Emperor is dying. Yes, the drama is moving at exponential rates at this point while we focused a bazillion episodes in the beginning on Xu Hui and the three fei’s in the beginning. The producers even gave more of a lead-up to Pang Po Po’s death than Li Zhi’s. What even?! Having only a few hours left, Li Zhi requests to see Mei Niang, and they have a very sweet grandma-grandpa couple time outside on the balcony. He tells her that all he ever wanted, was just to watch fireworks with her. So sweet. Maybe the producers have yet to meet an elderly man, but elderly men do not look like this!!! Now I’m not trying to ruin a sweet moment, and I am really not trying to be a ‘debby downer’, but does it bug anyone else that we don’t know what happened after the argument? Did they just become sweet? But I mean, they have to see each other somehow right? Did they just have a ‘cold war’ with each other for many years just before his death? I have so many unanswered questions! And if they were going to end it off this way, why didn’t the producers just give us more couple scenes from the beginning? This was all I wanted!!! I admit, I didn’t cry during his death. At this point, I didn’t feel very attached to their relationship anymore, and didn’t feel like their love was sincere. There was too much mistrust and lying going on between them. It was really sad when he died, but he died in his happiest moment in contentment with Mei Niang, so at least we were given that resolution. Also I can’t look past his make-up. The Emperor passes away. Bing Bing looks more gorgeous than ever being old (I think they cut down on the eye-make-up) and the silver/white dress she’s wearing is gorgeous with her headpiece. She mourns for him while suddenly, Li Xian attempts a coup against her. He fails because Mei Niang already had countermeasures in place (because she had heard about it already). The Emperor’s original edict was for Mei Niang to support Li Xian in becoming a good Emperor. Li Xian was in power for officially 44 days, but because of his incompetence, laziness, and greediness, Mei Niang disposed him and took over. She gave herself the official title of Huang Di – Emperor. 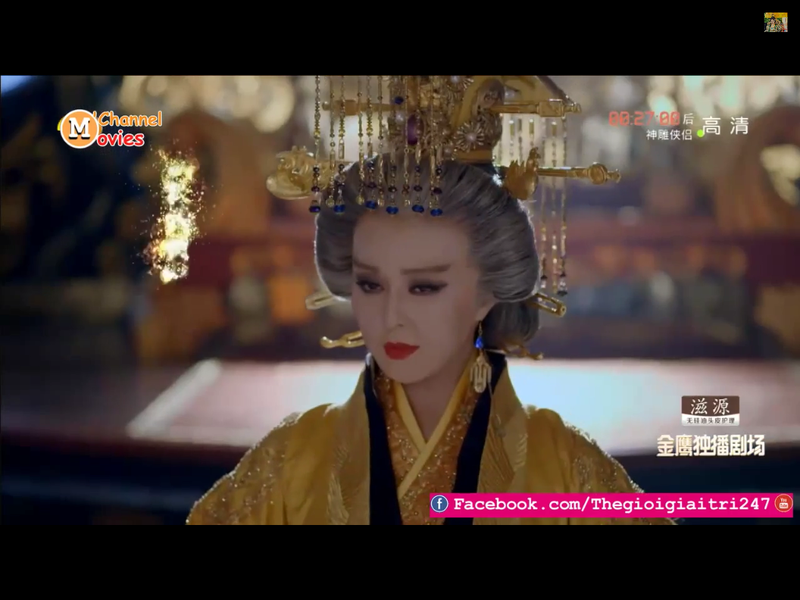 She was Emperor Wu – she even wore the golden color that was reserved for Emperors, along with the dragon on top. Again, I’m not rushing this summary but the last episode literally moved at the speed of a bullet train. She had nearly half a decade of secret police and opposition, and spent at least five years as Empress Dowager before becoming Emperor – they decide to conveniently skip all of that. They even miss out the part about her other son, Li Dan – which was made Crown Prince during this time. I mean, I understand that it’s a drama, and sometimes things have to be cut to make it entertaining, but the drama lagged on fictional characters like Pang Po Po, Cheng Xing, and spent so much time on fictional events in the beginning that I think it’s inexcusable. 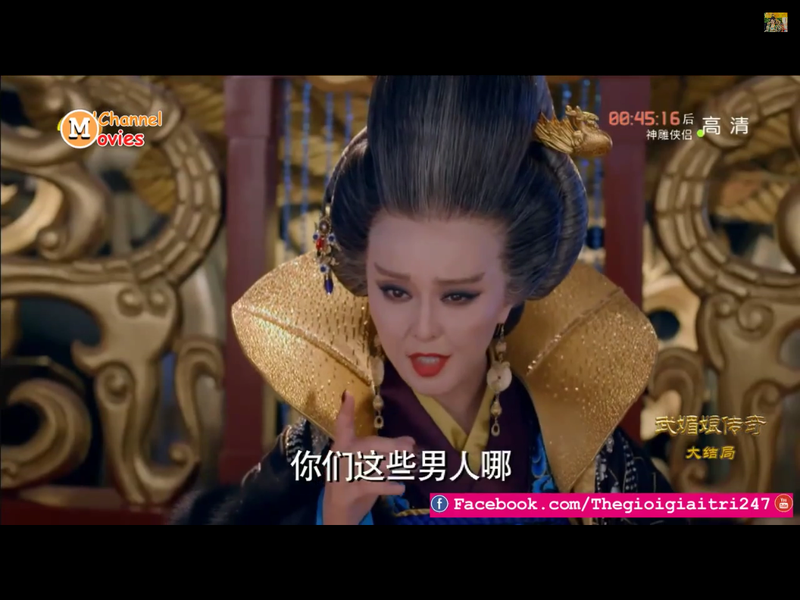 Finally we see the epic scene where the Empress becomes Wu ZeTian, and becomes Emperor Wu. We finally see the scene that’s been advertised everywhere in trailers but unfortunately… well that’s it. It’s the finale. When you’re looking forward to something in a trailer, you’re excited to see what happens afterwards. For this, well, that’s it. Well, actually we are left with an incredibly corny and awkward scene of people that died from her life. People suddenly turning towards the camera and posing accordingly to their personas, like Wei Fei is smirking while Li Ke is smiling. It was so cringe-worthy and corny. Why couldn’t they have just pulled out the different scenes from each character? I am positive that it would have made a bigger impact and tugged heartstrings even more. 15 years later, Li Xian plan another coup against Emperor Wu. Emperor Wu looks the exact same from 15 years earlier – just saying. 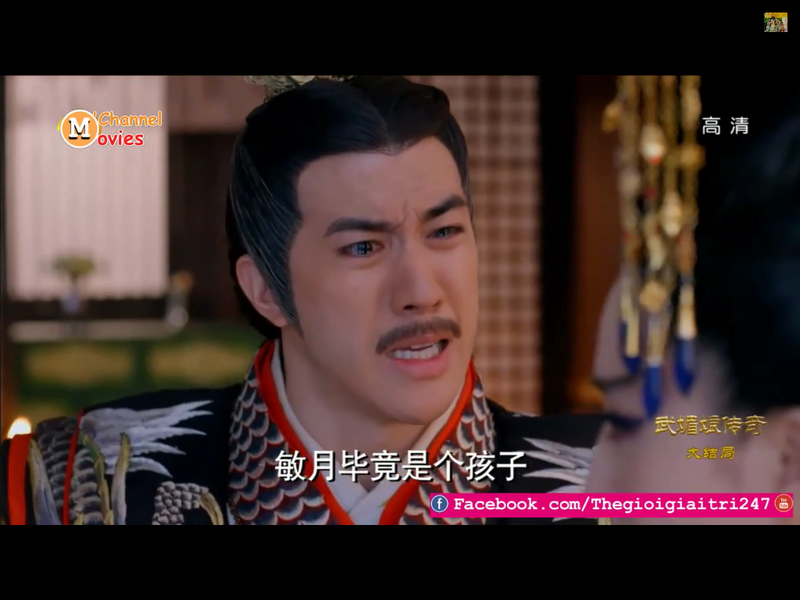 Li Xian, being the spineless unfilial son that he is, fails at confronting his mother and runs away at the crucial moment. In the drama, the coup failed (but historically they ousted her) because of Li Xian’s incompetence. But, it’s been the loneliest 15 years for Mei Niang, and she was willing to step down from it. I think the producers at this point were unwilling to position Mei Niang to have lost, and wrote it this way – but I think it’s pulling very far from the truth. It seems at every single corner, they’re rewriting history to create this illustration of a sacrificial Mary Sue heroine. To me, the rewriting has gotten very out of hand and unrealistic. I guess their whole screw up with Mei Niang’s first miscarriage set the tone. In episode 60 and beyond, Mei Niang was said to be pregnant with Li Zhi’s child. 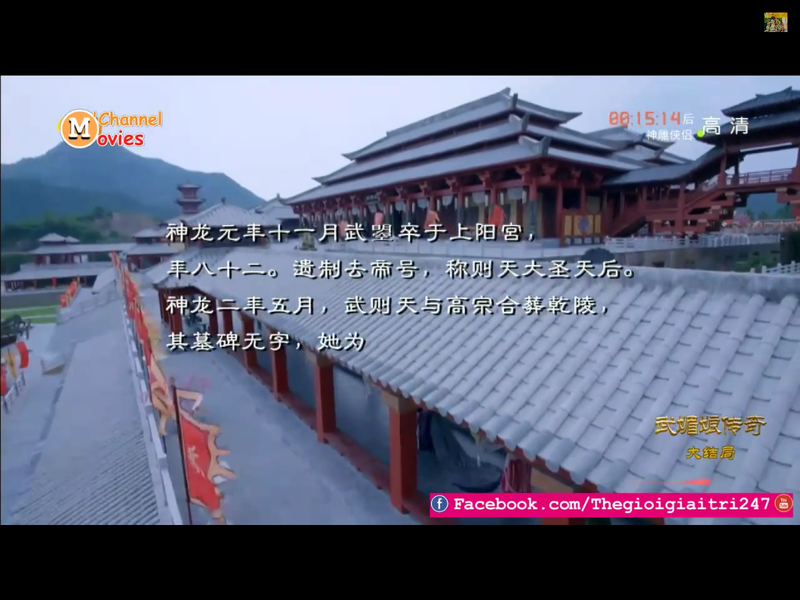 The producers made it Li Shi Min, which is very historically untrue, so it was edited out. Since it’s voiceovers, it was easily recreated that it was Li Zhi’s child… which is even more historically untrue. Everyone was confused. I looked at the stats for my blog, and I found that some of my hits came from search terms “When did Mei Niang sleep with Li Zhi?”. The producers really rooked it in this drama with the history – either they made up too much stuff, or they didn’t cover important events. I included these two screencaps from the coup because I was literally laughing out loud during this scene. $49 million USD that’s a huge production. HOW DID THEY HAVE THE BALLS TO ALLOW SUCH A FAKE MANNEQUIN HEAD INTO SUCH A SERIOUS SCENE?! The fake head up top looks even more fake on high definition and you can clearly see that it has no eyeballs or face. If you watch the scene live, you nearly feel embarrassed for the actor holding the head. How does it look like the guy on the bottom? Intern: I mean, the General doesn’t have to carry a head into this scene… We can just cut it out. Our cameras are really high definition and you can clearly see that it’s a fake head. Producers: No. It stays in the scene. Intern: How about we just turn the head around so you can only see hair? Lastly, we see one last costume from Bing Bing. She’s gotten fully old now. I must say the costume for this is very good. It does look very genuine. One thing that stuck with me was that she said that she had a dream where everyone she knew came to ‘get’ her, except her husband. I guess in her heart, her and Li Zhi’s problems were never resolved, and perhaps she’s convinced that he didn’t forgive her for certain things that she did. It says that she was buried with Li Zhi with a tomb with no words. Now I am actually not sure if she requested for her tomb to be wordless with no name, or if it’s the chancellors who thought that she was a disgrace to the country as a female regent. I felt like that this drama didn’t really reach my expectations because I was really interested in Wu ZeTian’s life, but it was filled with a lot of things that didn’t even happen in her life. Did Bing Bing just want to play a young character? I guess Wu ZeTian’s life really took off when she became Empress at 32 years old. If they just wanted to make a drama about concubine troubles, they should have just done so without the ‘Wu Ze Tian’ gimmick, because it made me expect so much more than a Mary Sue drama for the two-thirds of the episodes, and rushed through the important parts of her life at the very end. It was still a good watch as a drama, albeit still disappointing since I expected so much more. Other than the plot, I think the outfits, headpieces, and acting was done very well. My only complaint was probably the make-up and some props (like that mannequin head). I would definitely not rewatch this drama as I did with so many other ones. Anyways – excited to move on to Lady and the Liar. Ten episodes are out already, and I’m pretty stoked on catching up to them. Who are the two young men that be killed? And history said.. they are Wu Zetian’s lovers, seriously? So i think she said something in the scene. Could you explain to me what she explained about this? Am I the only one who died when I saw Xu fei because it reminded me of the sweet innocence she had when Wu ze tian first entered the palace and what happened between the two best friends? Hi thanks for all the recaps. I also not happy with the ending, and the stuff that bugs you also bugs me too!!! What bugs me is what happened with their relationship after that hurtful confession. And also what does she mean when she said she had a dream and people were there to “get” her except her husband? I understand it’s a reference of her dying, but why not dream of li zhi to get her? Ughhhh…. I just wanted a happy ending with them, she told him that in the next life she would still want him as her husband again (after he died!!!! ), I don’t really understand what she said to him at his funeral? I actually re-watched it again but i did skipped to Li Zhi & Mei Niang’s scenes, i love them! I love Li Zhi’s & his love for Mei Niang. I was very sad when he died only bc all he ever did was to protect and grow old with her. 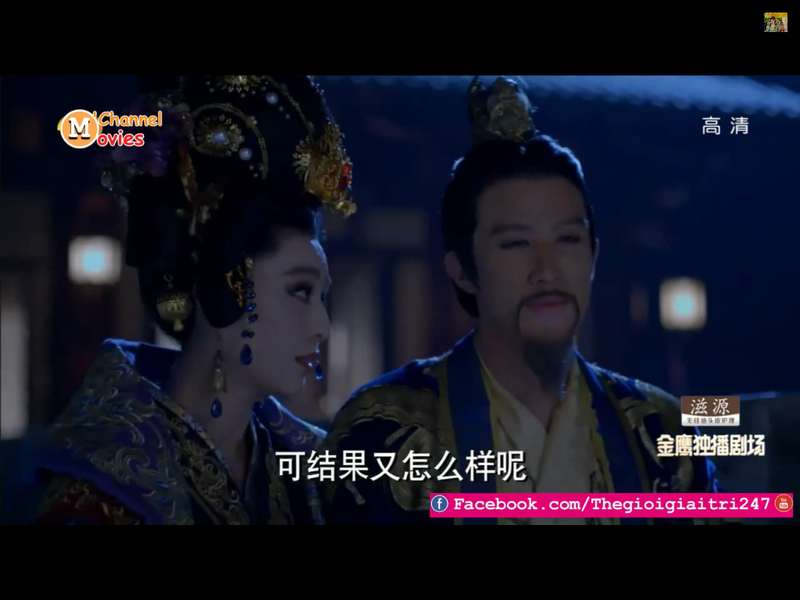 i admire his love for her, (except when ming Yue entered the picture, goshhhh! but his relationship with Mei Niang was kinda weird at the time and she offered him to marry ming Yue’s to piss him off. He was pretty hurt that she actually suggested that, u can see how he reacted). Anywhos, poor Li Zhi…. Great recap as always! I am also not convinced by the ending. However, i like how their relationship between 2 of them went through at the end of the movie because It was very realistic and touching. The relationship went up and down dramatically towards the end: loyalty, faithfulness,trust, hope, forgiveness and regret! I do love your reviews. I like to read it to see if there are others that agree with my reactions. What she said to Li Zhi was sooo cruel. I too, felt like it was so unresolved and then when after he is dead she says how she would like to be his wife in the next life. Like what?? I too am upset like the previous comment. Why not tell him before? How could you say something so cruel and supposedly never really truly loved him but yet want to be his wife again? I do want to point out that she says her “husband” never came to get her. Wonder which one she is referring to. YES! Too many fabricated stories in this version & it focused way too much on concubines drama & schemes (like almost every other chinese ancient kingdom drama). I was also left unsatisfied with them leaving the argument in a cliffhanging type of situation, the last thing she said was seriously a bullet to Li Zhi’s heart (poor baby). I think the producers didnt want her to explain so that it can parallel with the rumors about her doing evil things at the time, and maintain a more cold-hearted woman like she is portrayed. 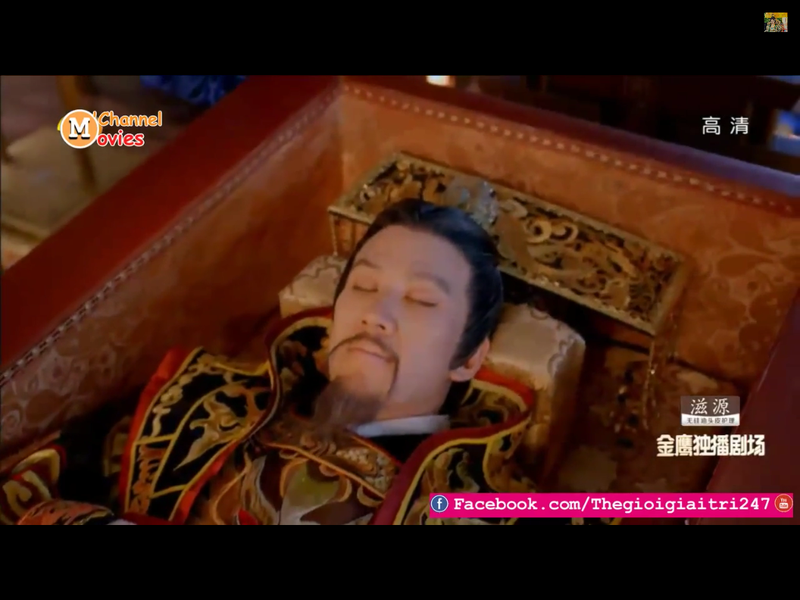 Then LI ZHI all of a sudden dies after that argument scene. It was really sweet what he said in their last moments together – he became prince just to protect her, king just to have her and he just want to grow old together. Omg, he loves her sooooo much that he forgives her, and believes she truly loves him (which i think she does though). *cries* I had to skip around bc it isn’t until 60+ got interesting. It’s so funny u mentioned this bc the whole time my friends and i watched waiting for her to turn-over and becojuszme of what we know the evil-cold b*tch but she doesn’t become that until 80+!!!! 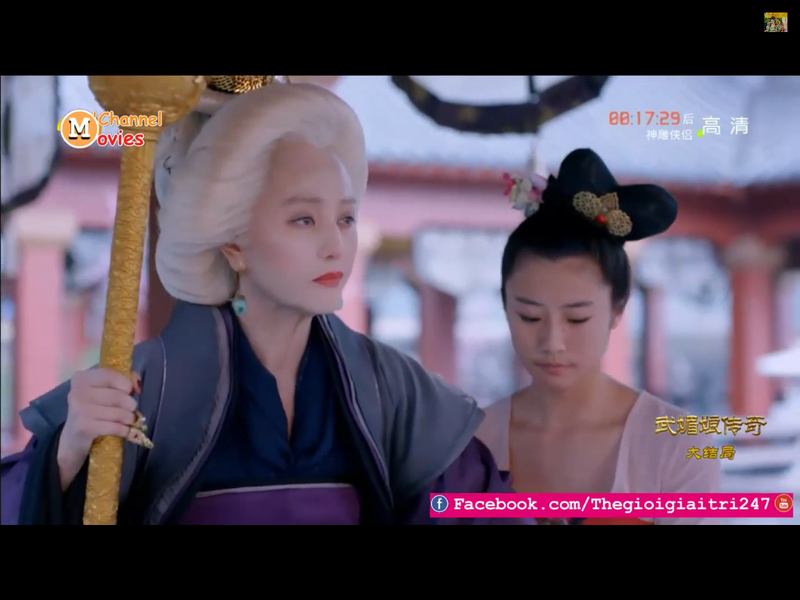 Freaking 80 episodes for her to turn just somewhat cruel even though the makeup does help lol *buzzkill* Then yesssss they spent way too much focusing on LI SHI MAN, like wtheck man he dies a few years after Mei Niang entered the kingdom and yet he was in like 50 episodes. From what i remembered reading and watching old Wu Zetian series, Mei Niang loves Li Zhi more than Li Shi Man, right? Oh boy the ending left me so unsatisfied! I actually did cry buckets when Li Zhi died because everything was so unresolved and it seemed like Mei Niang never took back her words so I felt so awful for him at the end. It’s obvious he forgave her and knew what she was plotting after his death, but he chose not to quarrel with her anymore and show that he still loved her in the end. They didn’t have a lot of trust anymore but he still loved her very much. He knew that his son would try and bury Mei Niang with him anyways and Mei Niang thought he agreed with his son, but he didn’t say anything to defend himself in his last moments and just handed his last edict banning the burial to the general that Mei Niang enlisted to help her. Mei Niang also didn’t trust Li Zhi, but even when she thought he would allow her to be killed after his death she still said that she wished he would be her husband again in the next life, and she lamented how Li Zhi was stupid since he knew all along what she was planning (i.e., she didn’t trust him) but didn’t say a word and protected her anyways even after death. Why couldn’t the producers/director have resolve their argument?! It’s awful to leave it hanging because we don’t know what happened in the years they fought! And they just had to end with “I dreamed of all my friends and enemies coming to get me, but the only person I couldn’t find within that crowd is my husband…”! They couldn’t even give the audience some semblance of a happy ending at the end! This drama had potential, but the pacing was too uneven and just ruined the end. They basically had to rush a bunch of things and left quite a bit of plotholes because they spent so much time on Mei Niang’s fabricated history with Li Shi Min (though I wonder if some plotholes are also because of censorship haha). I was really looking forward to this because I thought it would mainly focus on her time as Empress and how she became Emperor, so I was quite disappointed. I didn’t mind the whole martyr take on Wu Ze Tian because it’s quite different from the normal portrayals of her being power-hungry and malicious from the start and they managed to work that in nicely for the most part; history likes to depict her as evil, but I can’t help but wonder if that portrayal is influenced by people who just didn’t like a female emperor. I think I’m going to only rewatch the parts with Mei Niang and Li Zhi and pretend that the later episodes didn’t happen while I recover from the ending. 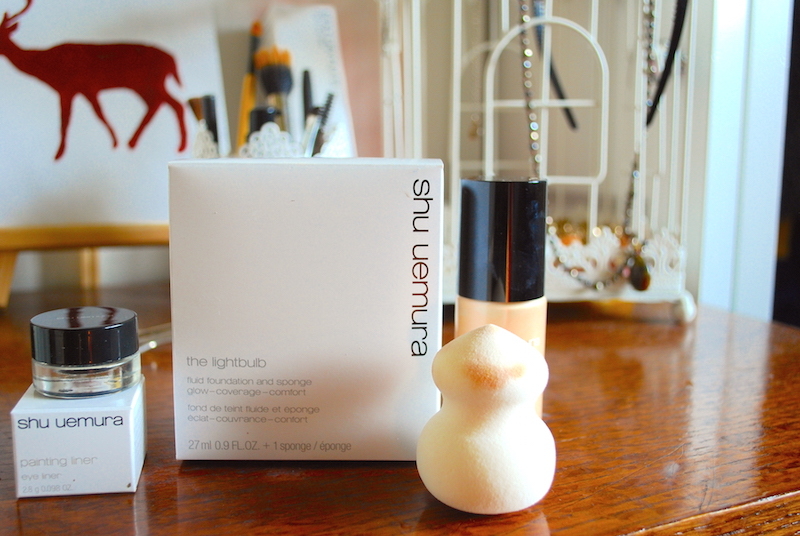 Thanks for the summaries (and sorry for the long rant)! I totally agree about the pacing and I am so annoyed at the amount of time that they spent on Li Shi Min. 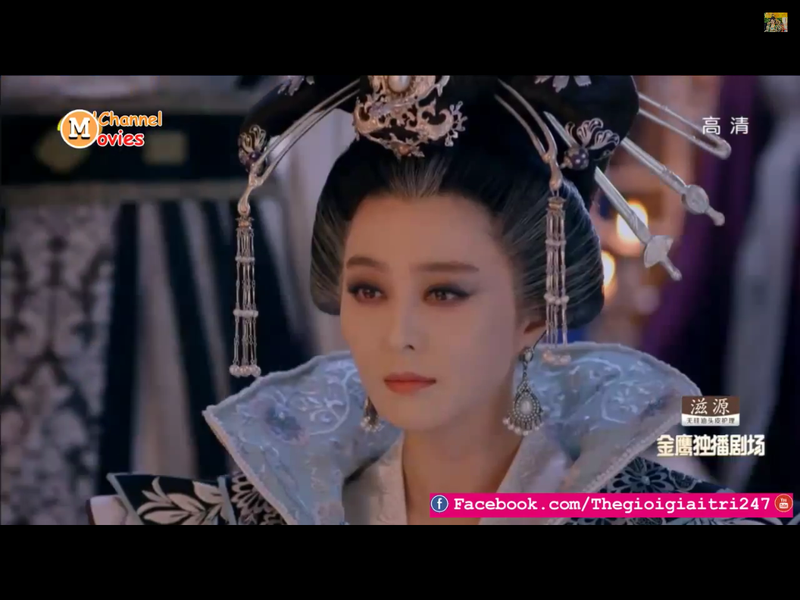 The Empress already had a very dramatic life already but tat was mostly after Li Zhi, so I don’t understand why they only dedicate 30 episodes to that… I don’t think I can rewatch this until the uncensored version comes out in Taiwan because I feel like Hunan TV cut out so much. I’m on the same boat – I don’t know if some of it is just censorship or of a badly written script. Thanks for your long post!!! I agree with 100% with what you said hahaah – I’m so unsatisfied too! Where did n you guys watch all of the episodes at? Thank you so much for putting in the time and effort to record these wonderful recaps 🙂 I was very disappointed by the pace and plot holes and was deciding whether I should continue watching the series (was only about episode 20+ on HK’s TVB) and came across your blog. Your entertaining reviews captured the gist of the series and even made the draggy parts bearable. 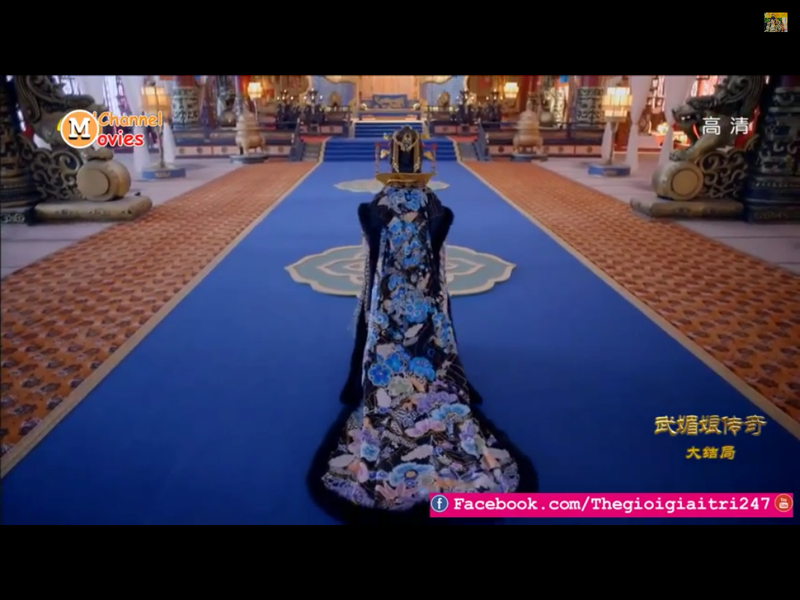 I love Fan Bing Bing and the lavish costumes and sets, wished they had a more satisfying ending! Thanks. Thx for the synopsis … very useful and easy to follow. I love the screen couple Fan Bing Bing and Aarif Lee .. such an attractive paid with great screen chemistry…. coupled with impressive customes and cinematography .. Empress drama is really tops. Good acting from all in the cast too. Hope there will be FBB & Aariff Lee drama soon. Cie -Chie. Oh, there will be another project starring both of them. But it’s not a drama though. It for a film call the ‘Grand Track’. A 3d motion capture film based off of a famous fantasy novel by the super talented Guo Jingming that revolves around a teenage trapped between four ravaging dynasties battling each other for power. A bit like Lord of The Ring and Games of Thrones. Aarif character is supposed to be a guardian to someone (my guess is that someone is Fan Bingbing). Anyway, there will be a lot of main cast. Guo Jingming is the same author/director of the highly popular Tiny Times film/novel/film franchise, so I think it’s going to be promising. The film is going to be China’s first 3D motion capture film and is already highly anticipated by the Chinese movie crowds. It is slated for released in 2016. Can’t wait to see Aarif (and Bingbing) in modern fantasy costume. I mean they are super attractive. I bet the character styling is gonna impressive. I have the urge to skip and watch but everyyy episodes seems so exciting! I wasn’t sure if I wanted to make a commitment to watching this when I heard it was 96 episodes! But with soooo much news about the huge budget, FBB being in a drama, and the cleavage controversy I decided to click the play button and became hooked. -It has become a chore (her story line with Emperor Taizong and his consorts took too long and after his death things happen soooo FAST). -A lot WTF moments! Example #1-When did she 1st get pregnant with Li Zhi’s child? I seriously re-watched past episodes to see where I missed it! #2-Why does LZ go to his empress after confessing his love for her? #3-And the scene where it pissed me off the most was when she went all crazy and runs outside and next we see her and LZ together and we don’t get a KISS!!! I did see the deleted kiss on YT but disappointed that it wasn’t shown. And I would of liked to see a few words of exchange! -With a +45 million USD I’m not impressed with the cheap props and editing. -The costumes and sets are jaw dropping gorgeous. -FBB is a porcelain doll and has chemistry with the men. -Aarif Rahman is damn good looking but not to impress with his acting. I’m sure we will see more of him in the future and there’s always room for improvement. He reminds of a younger WLH. I do enjoy his singing. 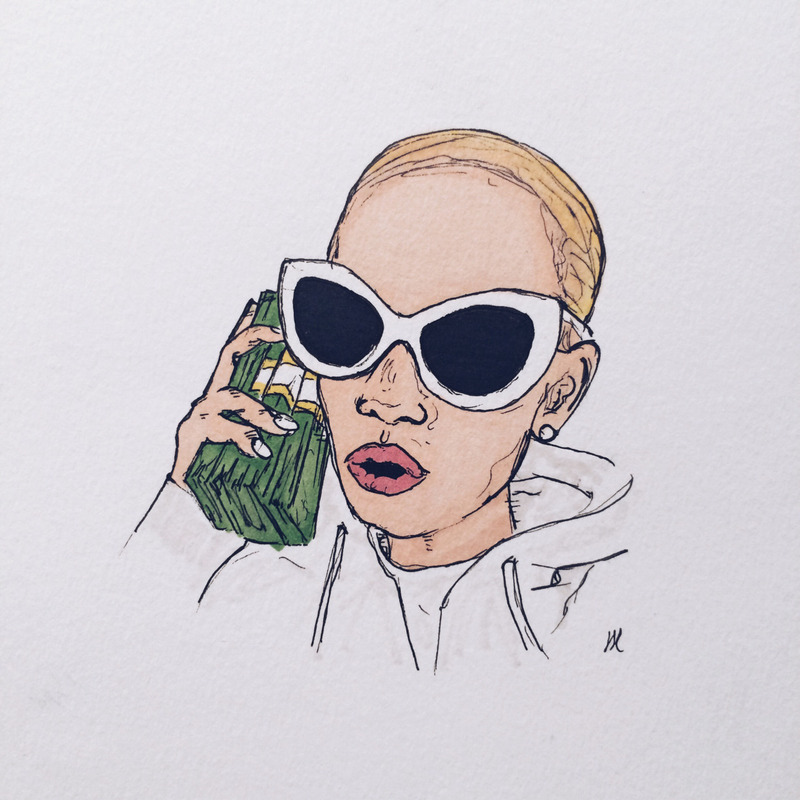 I’m so glad that I found this blog! I appreciate your time and recaps because it has saved me time and gave me good LOL moments! I enjoyed reading it more than watching the drama! hi, thanks for the recap…Honestly, i read the whole history of wu ze tian first before watching the drama. Like what I did when I watched any chinese and korean historical dramas. I love korean saigeuk because they put forward the important events and centred the plots around it. However in this drama, I really don’t expect that the producer will make her character head over heels with the father and all, because in history it’s said that she’s not in favour with the previous emperor so she had an affairs with the prince Lin zhi. That’s why when the young emperor went to the temple, he fell head over heels with her again and continued their affairs. That’s how I expect to story to moves on and I thought it would focus more on her loveline with Lin zhi and her struggles to get the power during Linzhi’s reign. But all of that didn’t happened. I don’t know why they’re so focus on the palace struggles at the beginning. I skips the episodes in the beginning every 5 to 10 ep but there’s still no loveline between Lin Zhi and her up to ep 55. Then *sigh* it really turn to the worst. So, I decided to stop watching and just read the recap of the last episodes. I’m glad I made the decision. I save my time. I really did have high expectation towards this drama since Nirvana in fire, BBJX, The Swordsman and Journey’s of Flower was beautifully directed. But I’m not really hooked by this drama. I have heard so many good reviews about Nirvana in Fire that I’m so tempted to start now!!! Where did you all watch this drama at,with subs? I watched it on maplestage raw! The only real problem I had with the drama in general was, why did they had to make so many things up?! Wu Meiniang’s actual life was enough of a rollercoaster, so why add a whole bunch of events that never happened? Also, their romance had SO much potential!! I don’t know why they spent 40+ episodes trying to make it seem like Li Shimin and Wu Meiniang were *so* in love, whereas she and Li Zhi had nothing. In fact, it should be the complete opposite! Instead, Meiniang’s and Zhi’s love looked so unconvincing. Li Mu was the best. Rui’an too. I really loved her friend until she sent psycho and broke the bracelet. What was up with the writers making all the women psycho crazy backstabbers? 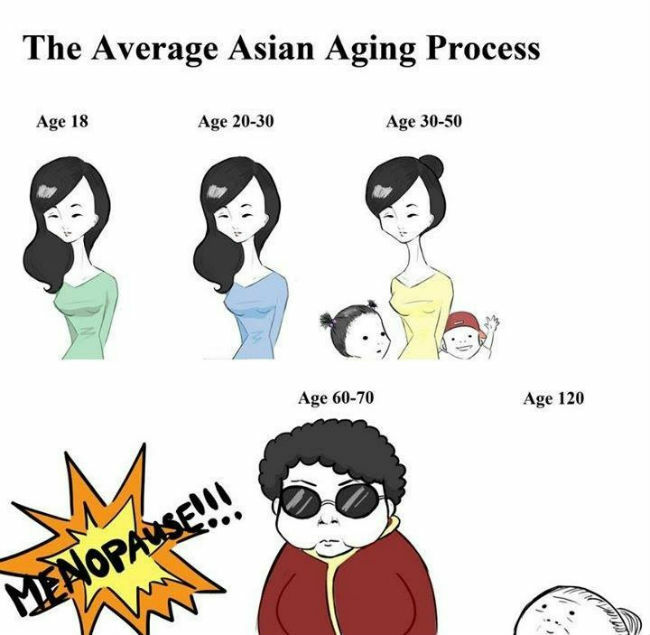 Like literally every woman except Ruyi. what do we only se 20 minutes of wu zetian reign??? Hi….i would like to know where can I see this movie that has 96 epi? I watch it on YouTube it only has 74 epi?? ?